A 2017, survey conducted by the AMA (American Medical Association), seriously discussed about the patient/physician impact with prior authorization. Almost 64% of practices report to wait for at least one business day to wait for PA decision from a health plan. Nearly, 30% complain the time taken to be three business days. 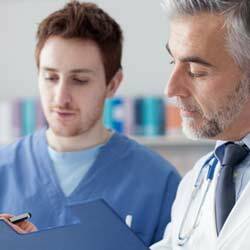 For the patients whose treatment requires prior authorization, the process delay is acute to necessary care. A whopping 92% report in care delays as well as abandonment of treatment with prior authorizations. The physician perspective on the burdens with PA is quite relative. Almost 84% consider it to be a serious headache and almost the same number; (86%) complain that it has only increased over the last five years. The additional fact sheet on the PA burdens explains it all! The volume is on an average nearly 29.1 per physician on a weekly basis. Approximately two business days are getting spent each week by the physician and their staff on completing the workload with PA. The practice resources are also getting consumed with 34% of physicians work exclusive on PA’s reducing their productive hours with care management. The repetition in the PA process especially for prescription medication is a sore challenge. 79% of the physicians repeat PA's when a patient is stabilized on a treatment regime for a condition that is chronic. A next gen healthcare revenue cycle management, we are a leader when it comes to working on your front end/ back end priorities. We provide our task specific functions in eligibility verification, authorization, denial management and accounts receivable recovery. Also, we are a top class company when it comes to offering you superior standards with compliance, IT security and are a 100% HIPAA center! We are flexible in our approach and while we perfectly have the capability to provide you an integrated approach, we provide you the option of choosing any of our services on an a la carte basis. Our team will be working as an extension of your operational arm, provide you stand alone support in prior authorization. Our 360 degree approach with prior authorization encompass: effective payer communication, eligibility verification, collection of relevant documents, follow up and updating the outcome. We are happy to share with you our great references from over 100 clients. Let us provide you a complete demonstration on what difference we bring to the table.